← And I’ll buy you an ice cream cone, too! First owls on top of the car, now polar bears on top of the roof! What do you think it’s made of? I dont know about that. I have seen polar bears on tropical islands on lost. So why not Montana. Close to Canada, eh? I heard you would be at the cash place cashing in your endorsement checks from all the media coverage. WALK ON BROTHER… the days are getting shorter ..and your final day is getting closer. I can’t remember – Did they ever explain the Polar Bears on LOST? I was a faithful follower, but I can’t remember if that one was explained. Come in and get your COLD HARD CASH-YES, WE DO CHARGE OVER(BEAR)ING INTEREST RATES-but you can use the money to purchase you PALL MALLS and PABST BLUE RIBBON! You only live once and you should life life to its fulllest!!! OMG Don…you are cracking me up over here! Hahahaaaa! Yeah Don, emphysema and cirrhosis of the liver. Fun. Sorry, Dorinda, meant that burst of laughter for Don’s comment, not on yours about emphysema & the liver, which isn’t anything to laugh at. Still wishing for the delete button. LOL. That’s okay Barb V. I also look for the delete button sometimes but it’s to late and already posted. Oh well. I figured your comment was on Don’s anyway. Thanks. I bet when this place is covered with snow.. that looks really cool up there?! That had to be an old ice cream shop. I don”t know – there might be a zoo nearby, with an escapee! Hey! I’m actually from Great Falls (but live in NYC) and that used to be an old restaurant called The Polar Bear Cafe! Hope you have had a nice time in my town! 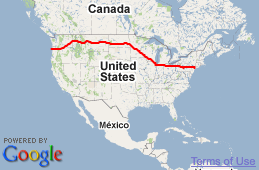 Good luck crossing the Continental Divide!! That explains the Polar Bear. I was thinking it might have been left over from a former establishment. Now we know. Thanks. 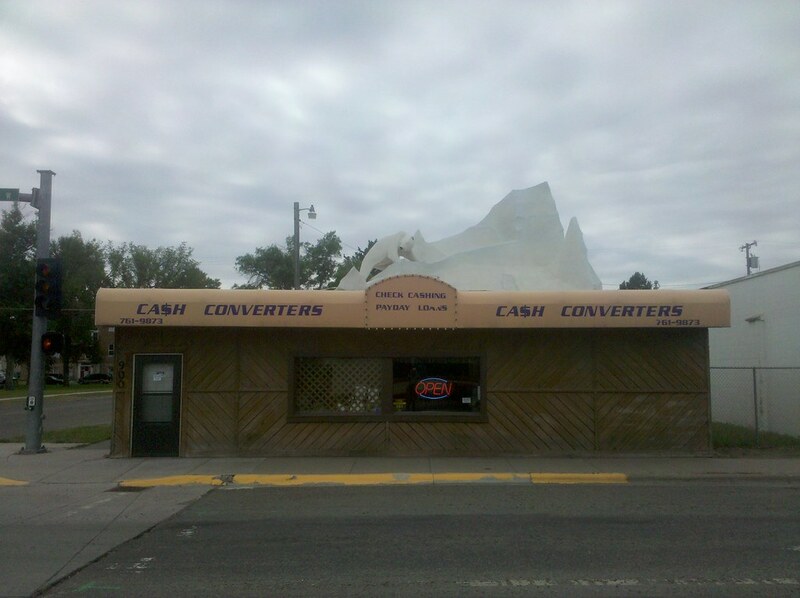 Still Cold Cash…no matter how you slice it. Took me *forever* to find the bear in the picture. It was like a “Find Waldo” experience. Jeez.